Merrion Square has been shorn in the past year, in an effort to bring it closer to what it looked like when it was born, and to try to make it a brighter place for people to hang out. The next step in Dublin City Council’s plan for the park is a new shelter. What, exactly, it will be used for and look like, though, is something of a sore point among councillors. 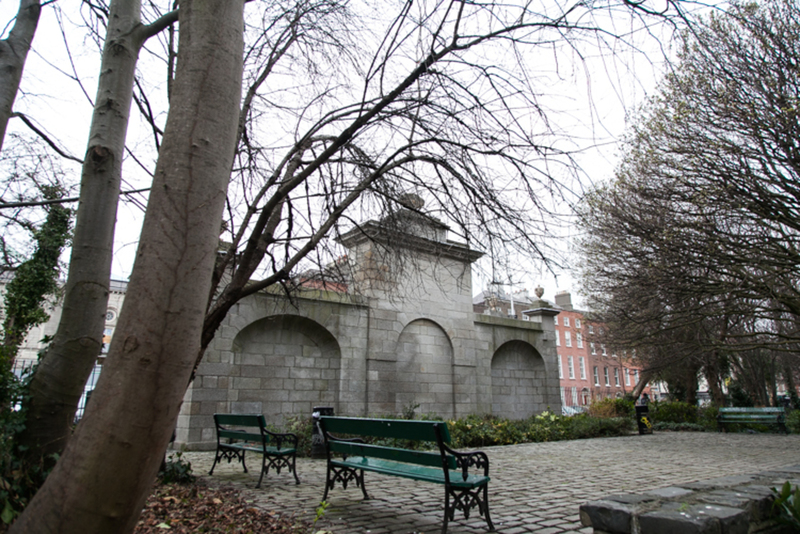 In 2014, conservation architects Howley Hayes and Associates drew up a conservation and management plan for Merrion Square. The park was overgrown, with way more tunnel-like paths than it used to have, the architects found. The vegetation, they declared, needed to be thinned out, and the old path network reinstated. There were also no shelters in the park for the public — even though it rains a lot — no bathrooms, and nowhere to buy refreshments, found Howley Hayes and Associates. A pavilion-style shelter would fix that, the report said. A tea room with toilets would be grand too. Dublin City Council made a start, and has now put out plans for a pavilion. Overall, most councillors welcomed the structure’s design when it was shown to them at the South-East Area Committee meeting earlier this month. But some were less than enthusiastic when it came to the proposed use for the new shelter. At the meeting, Howley Hayes and Associates presented designs for a small shelter behind the Rutland Memorial, the stone structure on the west side of the park, which faces the National Gallery. Conor Cooney, one of the architects involved, told councillors that this spot was chosen because there was a lodge there in the early days of the park. The lodge was demolished in 1975 and the memorial became overgrown. The Rutland Memorial was built in 1791 as a fountain to supply the poor with water. It isn’t a fountain any more, but restoration work carried out in 1975 and again in 2010 has preserved the stone structure. Cooney describes the planned design as respectful but eye-catching. 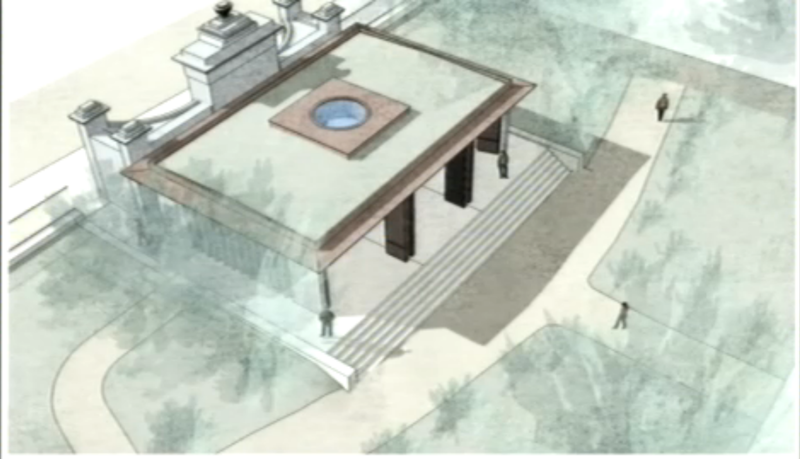 Two walls would flank the sides of the memorial, and the space in between would hold the new shelter. 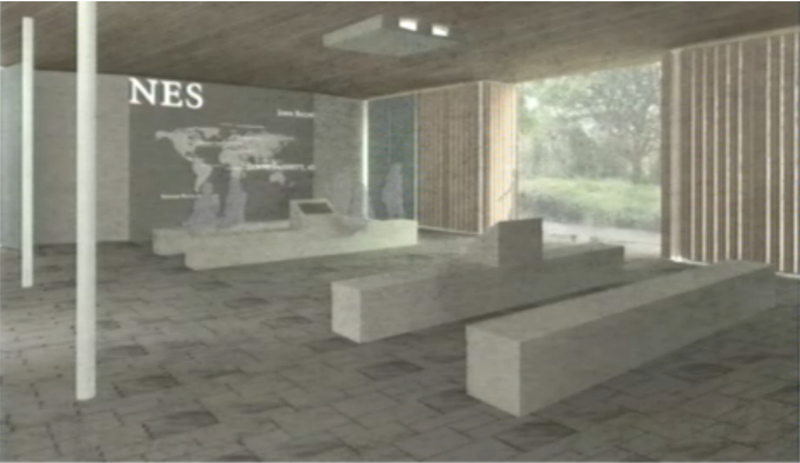 The new structure would be made of granite to match the memorial, as would the stone benches inside. The room would be split into three equal parts, to mirror the memorial. Its height would match the fountain’s lower walls, rather than its peak. The open pavilion would have three gates similar to those in the rest of the park, which could be closed off at night or for civic functions. Cooney says this construction is also an opportunity to open another entrance to Merrion Square, facing the National Gallery. In the designs of Howley Hayes and Associates, the space houses a digital art exhibition. But that was before Dublin City Council was approached by business woman and philanthropist Norma Smurfit. Smurfit has been involved in philanthropic work for four decades, including a donation of statues to the city in 1997. She was behind Rowan Gillespie’s bronze statues at Custom House Quay, which commemorate those who left Ireland during the Famine. And she had another suggestion for the pavilion. It could be used to commemorate the Irish diaspora, she said. She offered to fund it and gift it to the council. 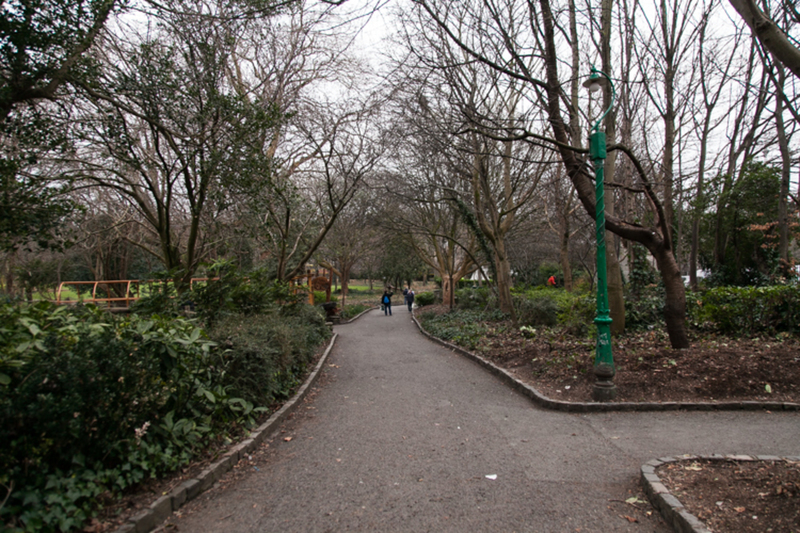 Les Moore, head of Dublin City Council’s parks service, says her suggestion will fit with the park’s conservation and management plan, as well as the 2012 report produced by the Merrion Square Innovation Network. In the beginning, Smurfit wanted to inscribe the names of some of the Irish diaspora in a glass wall, but the she realised it would be easier and more cost effective to honour them through a digital projection. Smurfit said the idea came about after she commissioned the Famine statues. There’s nowhere in Ireland that remembers those who have left, she says, except for monuments for people who have died in wars. “We thought this would be an ideal situation and an ideal place where diaspora around the world could remember their families, remember their grandparents and have their names enhanced in the pavilion,” she says. People would make a small donation to add a name to the wall, and this money will go to charitable causes around Ireland. “So the money that’s raised from this initiative will make a lot of difference in the future,” she says. The project wouldn’t just be about those who have emigrated and passed away, she says, but also about connecting Irish people living all over the world with Ireland. This legacy display — a map of the world with a flare for when each person subscribes online — would take the form of projections on both side walls and would be managed online, said Cooney. Not everybody agrees with the new idea. Independent Dublin city councillor Mannix Flynn doesn’t like the idea of a display. Labour councillor Mary Freehill said that for it to be more meaningful, the project would have to help people learn about their actual connections to Ireland. 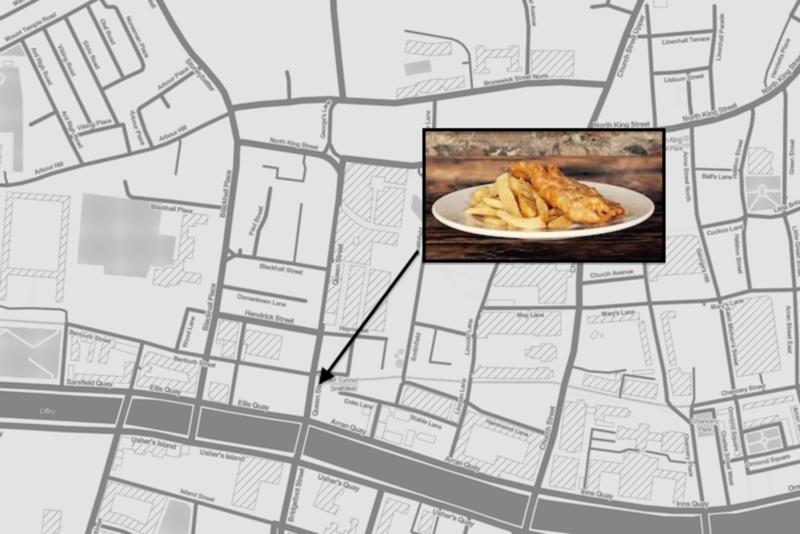 There’s digital area already planned for the new development at Parnell Square, she pointed out. Perhaps the pavilion might be better used as a writers’ centre, she said: animated versions of stories by Irish writers could be projected there. “This would just be the perfect and the right place for that,” she says. Not everyone was against the emigration memorial idea though. 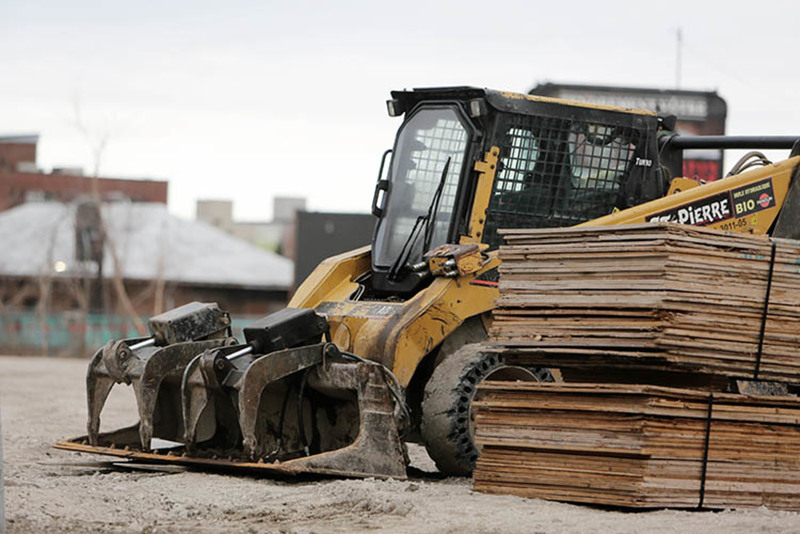 At the area committee meeting, some councillors said the council should just go ahead with the plan. As Fine Gael councillor Kieran Binchy sees it, it would be crazy to turn down a generous offer like Smurfit’s. On 4 April, councillors will learn more about the project, and it is expected that the plans will go before the full council at its monthly meeting, to vote on whether they should move forward and should go out to public consultation. it’s difficult to believe our city councillors are considering such a thing in such a space. A Pavilion is a nice idea, but that size and style. Another contemporary box for our city. The Victorian garden space at Jervis Street was destroyed with similar plans. Merrion square has been mindlessly ravaged by these idiotic “improvements”. It was formerly a quiet and sheltered space where one could enjoy the privacy provided by the beautiful greenery, but it is now a soulless void with a scattering of trees and benches. I don’t understand how this beautiful feature of Dublin can be ransacked like this. 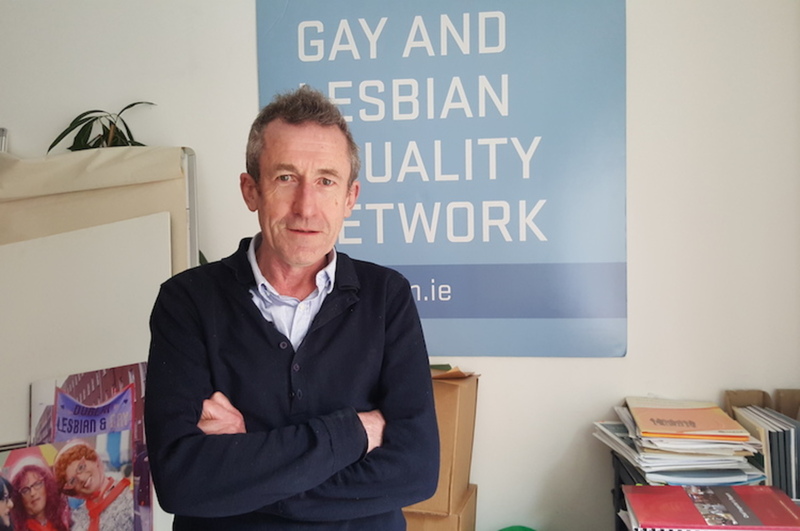 Agree with Paul, have been almost traumatised by the slash and burn approach that has been taken to Merrion square; it was a real haven, full of wildlife, squirrels, field mice and birds, but now it’s more akin to a landscaped car park. Soulless. And why are we so obsessed with diaspora? What about the poor sods that have moved into this country? Shouldn’t their martyrdom be recognised too?!? Ah yes – DCC rolls out yet more depressing cold white stone that is freezing to sit on and looks miserable in the rain. It looks more like a modernist graveyard crypt than a pavilion. I find it amazing the way they can spend time on these sidebar projects when the basics like a lack of public toilets or seating remain. 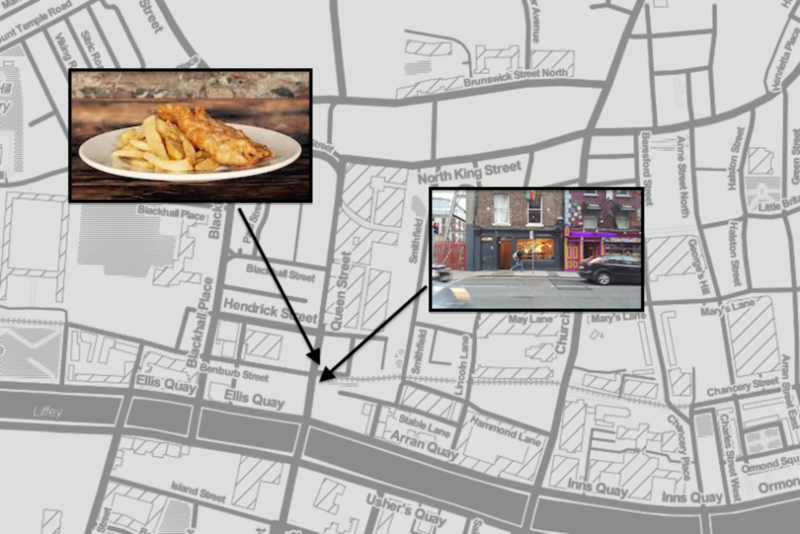 And if they wanted to get really radical – kick Govt buildings out to Kilmainham and get a modern Art gallery or cultural Museum in the space to turn the whole area into an arts quarter to rival London. IMMA has long been dead as a dodo.